It always a tough choice for our Travel Specialists team to pick a hot spot within their specialty destination. However with 2017 now in the past, we see some undeniable trends and amazing new product for 2018 that is causing a stir here at The Travel Specialists HQ. In fact, we’ve got so much content, we’ll cover this “hot” topic across our first TWO blogs of the New Year. So, if you are looking for a travel experience that is new and exciting to add to your 2018 list of travel hot spots, then read on…..
Let’s start in South America as we take a closer look at the Hotel las Torres in Patagonia, Chile. This property has a rich history of family and culture. Founded by Antonio Kusanovic Senkovic in 1979. A successful cattle farmer, Antonio bought a slice of farming paradise at the foot of the majestic “Torres del Paine” mountain range. The 8 thousand acre ranch became the home of his cattle breeding business. In the early 90’s Mr Kusanovic and his wife Amor Eliana Marusic decided to build 9 rooms with a small restaurant to welcome the many tourists arriving from all over the world. After Mr Kusanovic’s death in 1997, his wife and four children continued his legacy in the hotel. Family members no longer run Hotel Las Torres on a day-to-day basis. However, they’re often seen working around the property, and are more than happy to share their thoughts on why Torres del Paine is such a magical place. A recent addition to the special programs that Hotel las Torres offer is the Puma Encounter. The remote and untamed Chilean Patagonia is home to the “Andean Lion” or Puma. The Puma Encounter Program is led by an experienced guide and a tracking expert. The program provides an opportunity to observe the magnificent Puma in her natural habitat and capture a collection of incredibly unique photographs. Along the way, learn about local fauna and see first-hand the most awe-inspiring landscapes on the planet. Ask any of our African Travel Specialists “Whats hot in Kenya right now?” and they will all give you the same answer…. The Enaidura Luxury Mobile Camp. Owned and operated by local Kenyan award winning guides Paul Kirui and Johnson Ping’ua (known as Ping). Enaidura Mobile Camp is perfectly positioned in the Masai Mara ecosystem. From here you get to experience the Great Migration as it moves into the region from July through to October. Regardless of the time of year, this camp offers extraordinary wildlife. October saw African Travel Specialist, George experience 3 weeks on safari in Kenya. George spotted 11 lions and 2 cheetahs just transferring from the airstrip to the camp! Enaidura is a classic camp that keeps you connected to the bush. Personal service and fantastic meals are a welcome part of the camp experience and on par with high-end permanent luxury safari camps. Game drives are the focus at Enaidura. Especially designed, open-sided vehicles deliver an intimate wildlife experience. Each party has a private guide and vehicle so the schedule and game viewing priorities are your call. Perfect for the Safari goer who is looking for an authentic experience. Prolific with wildlife, the opportunities are plenty to see Masai Mara at its best taking advantage of this exclusive location. The Enaidura Mobile Camp experience is second to none. It’s true that an expedition to any of the Antarctic regions offer unique wildlife encounters. Coupled with the stunning Antarctic landscape, visitors are guaranteed a beauty, solitude and a wonder that the Antarctic seas deliver every time. Antarctic wildlife is at its most active during the southern summer (late October to March). Most commonly witnessed is the frantic activity of penguin colonies. Seal herds gather as do hundreds of albatrosses and a huge variety of seabirds. Read on, if it is the marine mammals of Antarctica that you are keen see in action. 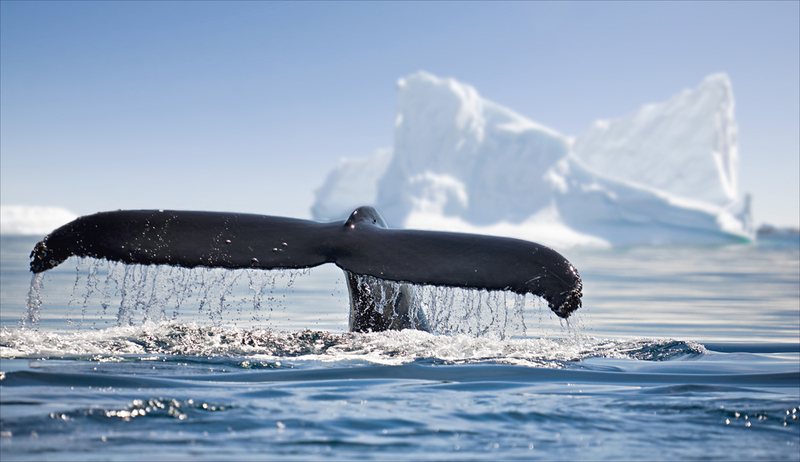 Our Antarctic Travel Specialist team are excited to announce set departure dates for the ultimate WHALE WATCHING expedition. By March, the short Antarctic summer is nearing its’ end. Penguin chicks are almost fully-grown and quickly shedding their downy coats in preparation to take to the sea before the long winter. In March, a lot of the activity is in and under the water. Historically a high concentration of whales, mostly Humpback and Minke are seen. Crabeater, Weddell and Leopard seals can also be seen as they rest and store energy that will sustain them over the cold months ahead. The Marine Mammals expedition has one set departure date remaining for 2018 and two for 2019. With limited places, these expeditions are selling fast. Talk to our Antarctic Specialists and you will soon see why this exciting new product made our “Whats Hot” travel list. We’ll give you some time to contemplate the first three from our What’s Hot travel list for 2018. Look out for part 2 to follow soon. If you would like more information about any of the new and exciting travel experiences, don’t hesitate to contact our Travel Specialists team on 1300 761 980.